Australian pop diva Nicole Millar has returned to the spotlight today, armed with her brand new single ‘Blindfolded’. 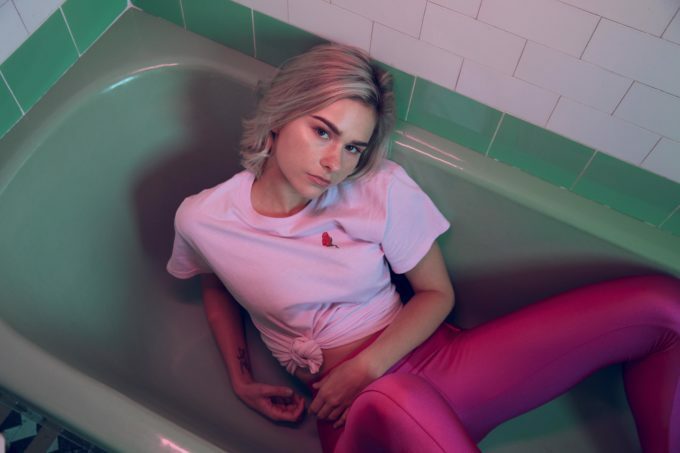 The Sydney-based starlet premiered the track on Triple J earlier in the week and followed that up with its live debut on Tuesday. She says the song takes its meaning from life experiences with men. “I find it really hard to trust people as most men in my life have let me down,” she reveals. “This song definitely draws on that. The feeling that someone isn’t being completely honest and they’re hiding something from you. The track is plucked from Nicole’s forthcoming debut album which, from appearances, isn’t too far away.